We are very happy to announce that we are sending 6 cell phone charging stations to Hurricane Maria devastated Puerto Rico. A Client, Jim Morales contacted our President Nate Otto late last week with the idea, and Nate jumped on the chance to help. 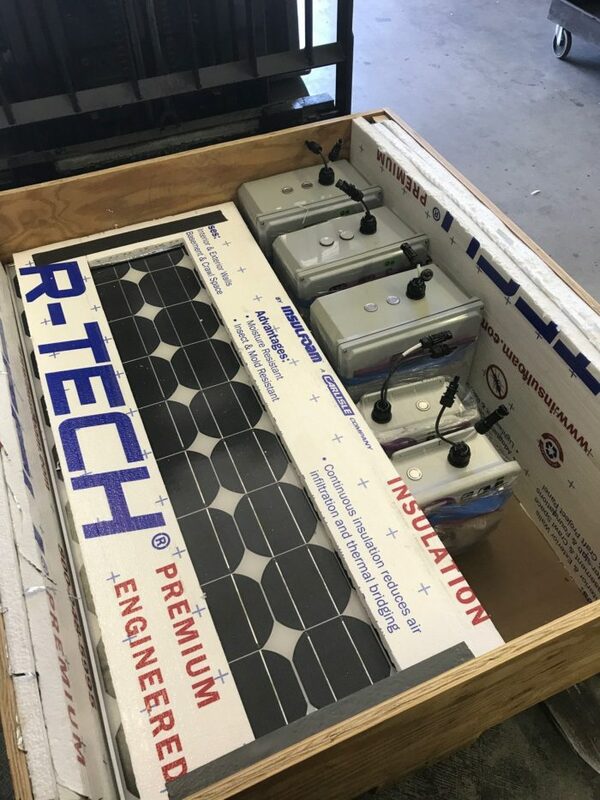 Monday and Tuesday, Chris Ritter and Paul Lemon designed the systems based off of our existing solar charging station, making them more adaptable to whatever they need to be used for, and for the humid climate. Mr. Morales has source satellite wifi hot spots with enough bandwidth to have 5 cell phones connected at a time. Mr. Morales has also been in contact with FEMA and is working through the logistics of getting the Cell Towers to Puerto Rico early this coming week. All are crated up and ready to go! We have set up a Go Fund Me page Puerto Rico Satellite Communication for funds to help with delivery costs. We know that this is a small help in massive crisis, but are honored to be able to help in our small way. We welcome any logistical advice as we push forward on the delivery. HPE SAYS ‘RIDE ON’ TO CVLINK!